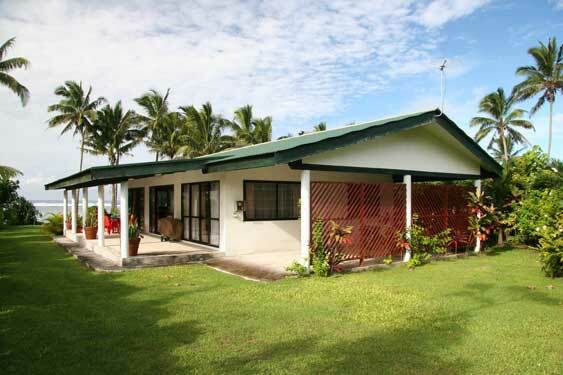 Prime location in the district of Titikaveka on a beautiful white sand beach where the swimming & snorkelling is at its best. This idyllic spot enables you to watch the sunrise each morning being one of the first to see the dawning of a new day over paradise. 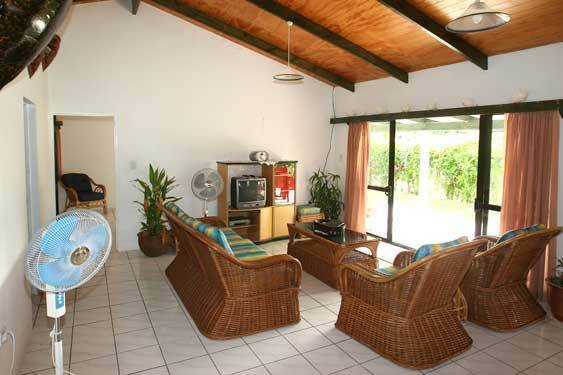 Nana’s is a modern and spacious, self-contained, two bedroom home. The main bedroom has a queen-size bed and the second bedroom two singles (which can be made into a double) perfect for a family of four or two couples. The open-plan living/dining/kitchen area will ensure that everyone is included within the flow of conversation. It has a TV, VCR and CD player for your use and fans to keep you cool. 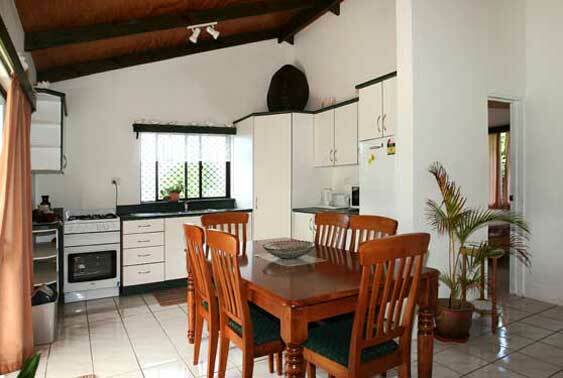 The fully equipped kitchen has a gas stove, oven, microwave and fridge/freezer. Through the sliding doors from the living area and the main bedroom you will step out onto the wide covered verandah, a good spot to catch the sea breezes in the cool of the evenings and enjoy outdoor dining with the barbeque and outdoor table & chairs. 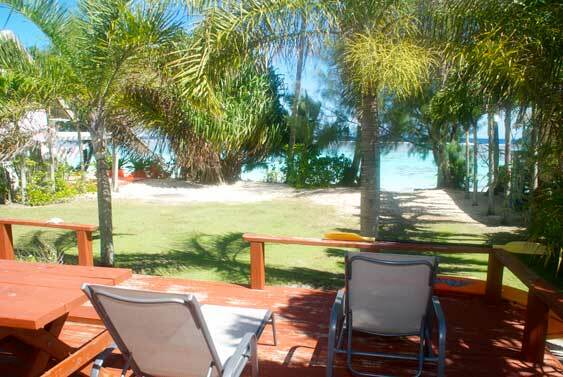 The beach side of the bungalow has a wide wood decking which is an ideal spot to lay your towel down on the sun loungers and do a bit of sunbathing if you prefer not to get sand through your toes. There is a small store two minutes walk from the property and Moana Sands which has a little eatery open for breakfast and lunch also not far. There is a designated laundry with an automatic washing machine including ironing facilities. 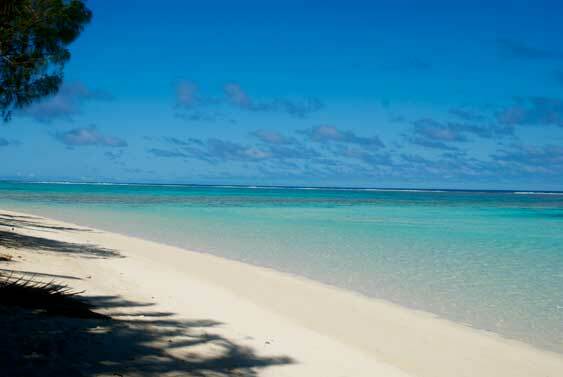 All linen, towels and beach towels are provided for your stay. 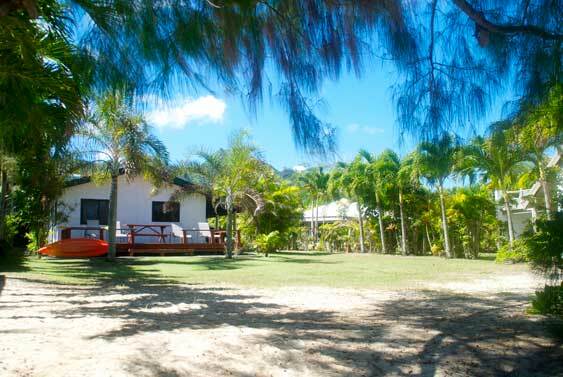 The tariff for Nana's starts at NZ$1550.00 per week for two people. 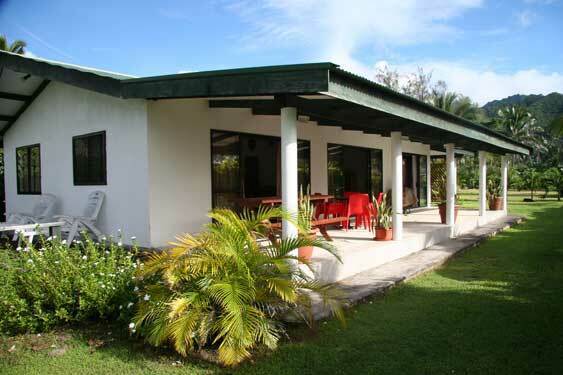 NZ$175.00 a night (NZ$1225.00 a week) for 4 adults. 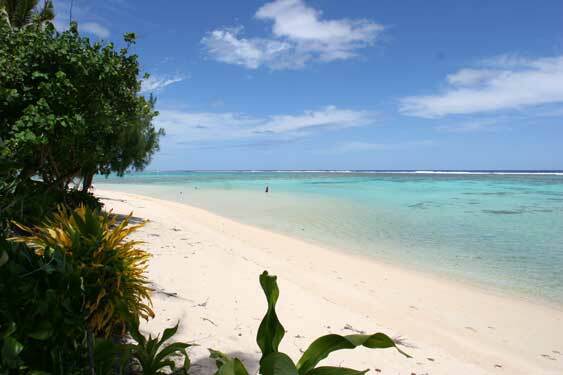 We are back in NZ now & back at work saving for our next trip to your beautiful Island. Our stay at Nana's was absolutely perfect again. We are so impressed with the way Nana maintains and presents her lovely home and if it is possible for you to pass on our sincere thanks to her, please do. We were thrilled to see (and use) the fabulous new barbecue. It is great. Bless you all, for your kindness in sharing your paradise with us. We truely appreciate it. We are having the most fantastic time and we are thrilled to bits with Nana's Beach house! Eddie....thanks so much for helping organise our stay. The house was perfect for us and you were most helpful and accommodating. A big thanks to the home owners and we'd love to come back to stay again sometime soon. I've referred you to several people already!! 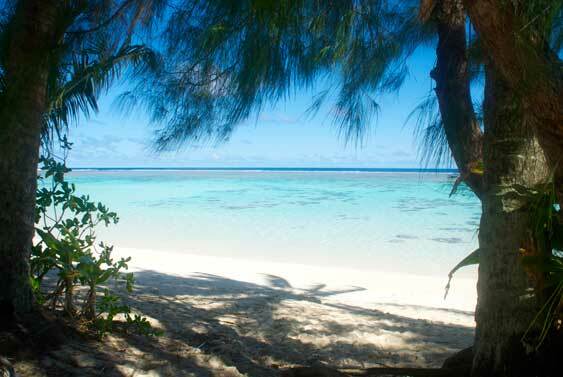 Thank you so much for all the help you provided in making our Raro holiday such a success - great transfers and we loved Nana's place. My daughter and her friends arrive on the 27th for 10-12 nights and they are really looking forward to it. Huge thank you for giving up your osteo appointment for Chris - he was in such a bad way but Jayde fixed him up and all came good - thank you was so appreciated. Having the water cooler in the kitchen was fantastic - lovely cold water all the time. Thanks again and hope to get back to Nana's next year or the year after. For full tariff information and availability contact Eddie at Rentraro and quote "Nana's".